Trucks that are always close by, ready to help? Check! Pricing that leaves you feeling reassured instead of stressed? Check! Highly trained and vetted technicians ready to address all your plumbing issues? Check! 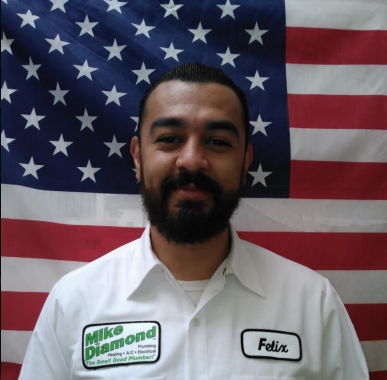 Mike Diamond is your one stop shop for all your plumbing service needs. Drain Cleaning – With the help of ever-advancing technology and over forty years of industry experience, the expert plumbers at Mike Diamond are able to keep up to date with the best and most efficient ways of fixing your drains any time. Water Heaters – If you need your water heater repaired, you can call Mike Diamond to have it taken care of quickly so your warm water is back and your life is on track as soon as possible. Trenchless Sewer Repair – Sewer line backups can be a big problem and potential health risk. Learn more about how Mike Diamond can fix these back-ups with as little damage to your landscaping as possible. Air gap for dishwasher repair.